Nitin MG studied in KCG College of Technology in the Electronics and Communication department, graduating in 2012. He is currently pursuing his Master’s degree in Power Electronics and Drives. 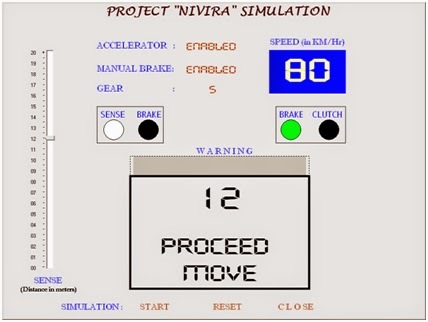 The list of ambitious projects that he has undertaken starts with the NIVIRA which was a Sensor Enabled Automatic Safety Breaking Mechanism. This was presented to a panel and received rave reviews. Along with two of his friends from the Mechanical Department, he began brain storming sessions in his second semester and soon the innovation cell was born. The following year, he received funding from DST (Department of Science and Technology) for a project that aims to improve safety features in vehicles. While a real time implementation was not possible, they were able to create a prototype which was tested and found to be a great success. Nitin continued this trend into his 3rd year with a DTMF Controlled Remote Car which allows a person to control a robot using a cell phone to perform certain actions. This project was also successfully implemented and tested. Soon prototypes weren’t good enough and he wanted to take NIVIRA to the next level. 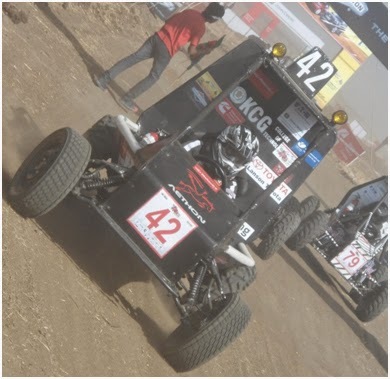 But at the same time, he got the opportunity to work as part of a 24 member team that participated in a National Level Competition BAJA organised by SAE (Society of Automotive Engineers). The goal was to build a rugged single seat off-road recreational four wheeled vehicle intended for sale to a non-professional. The team was able to obtain the necessary funding and the finished product was finally tested at NATRAX test track at Pithampur. Nitin served as the driver during this test drive. Students of the college were also allowed to test drive the vehicle during the Bazzar. Currently, Nitin is working on taking entrepreneurship to the next level by allowing students to work as software developers and market their products in a bid to improve the relationship between educational institutions and the industry. Clearly, for Nitin, the sky is not the limit. The college has enabled him to act in accordance with his talents and given him the opportunity to shine.